Bushiri’s “Open Doors Grand Entrance” on hold - SABC News - Breaking news, special reports, world, business, sport coverage of all South African current events. Africa's news leader. SANCO embarked on protest actions calling for ECG leader, prophet Shepherd Bushiri to go. The Enlightened Christian Gathering (ECG) church’s much-anticipated “Open Doors Grand Entrance” service scheduled for Saturday has been put on ice. The church says this is to give the CRL Commission’s meditation process time, after being embroiled in a spat with the South African National Civic Organisation (SANCO) over the deaths of three female congregants. It’s reported the three died during a stampede when scuttling for cover against a heavy thunderstorm whilst attending their service on the last Friday of December 2018. Police have opened an inquest for investigation. ECG Spokesperson Maynard Manyowa has apologised on behalf of the church for the deaths. However, it’s alleged the church has tampered with the scene, removing the bodies without informing the police; a move that has irked SANCO. 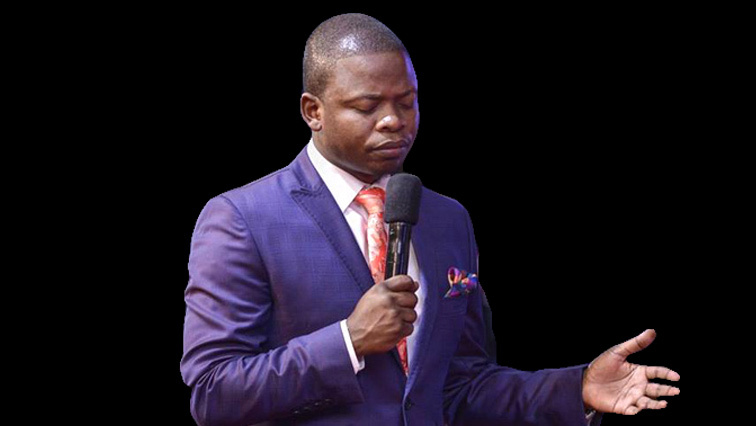 The organisation embarked on protest actions calling for the church’s leader, prophet Shepherd Bushiri to pack and go. But the religious practices watchdog, CRL Commission, entered the fray. ECG Lawyer Terrance Baloyi says that the church is hoping that the intervention by the CRL Commission will bring peace. Tshwane SANCO Chairperson, Abraham Mashishi, says that the ECG is co-operating with the intervention by the CRL Commission. The spat nonetheless saw Tshwane ANCYL stepping up. It’s blaming the death of the three congregants on the Tshwane municipality’s failure to enforce the law. Lesego Makhubela of the Tshwane ANCYL says that the city was supposed to ensure that there is crowd control at the venue where the stampede took place. The church has suspended its head pastor, Evangelist Fritz Pretorius, pending investigations. It’s reported that ECG attracted over 100 000 people during its 2018 cross over service. The service for Saturday, 20th January, would have been the first for this year, but Baloyi says the postponement is to also allow intensive prayers in the midst of “attacks” unleashed against them. The public has reacted differently to the recent happenings at ECG church and its leader, prophet Bushiri. “If a person dies, you must call the police and the forensic. They will decide what to do; you can’t take people to the mortuary. It is not acceptable, he must go back where he’s coming from,” says a member of the public. “Where must he go? He’s here for us, I got born again here, I don’t see a reason why he must go. I don’t see a reason; he hasn’t done anything wrong,” says a congregant. “Business is not going well just because the prophet is not around because of people,” says another member of the public. “I say he must go. I don’t see the reason why he’s here, people are dying,” adds another public member. Last week, the Tshwane municipality issued the church with an order to comply within 30 days. Failure will lead to all activities being ceased until compliance is met. This entry was posted on 19 Jan 2019,06:00PM at 6:00 PM and is filed under South Africa, Homepage Featured Story Slider. You can follow any responses to this entry through the RSS 2.0 feed. Both comments and pings are currently closed.